Almost two decades ago, a United Church of Christ delegation visited Chile. “It was just one more delegation,” jokes Elena Huegel, who was in charge of showing yet another group around the sights of Chile. But one of the delegation members stayed in touch with Huegel, interested in her work in peace, leadership and resilience training. Huegel and the Rev. Beverly Prestwood-Taylor have continued to work together for close to 20 years. The success they are most proud of is that they don’t have to work together. Their Roots in the Ruins program is now run entirely by people in the countries it serves. The goal of most international cooperations is to be able to hand the work over once the teaching is done (think peacekeeping, agriculture, education) but the success rate, for a multitude of reasons, is not very high. That Roots in the Ruins has trained facilitators in seven countries, and handed the training over to them, is not only an international success story, but a move that is integral to the program itself. To have a facilitator who knows the customs, history, language and people of the country served is what helps Roots in the Ruins be successful, Huegel says. It might be a difference in language, like a word that is offensive in Chile is used casually and regularly in Puerto Rico. Or it may be a “cultural attunement,” as in the focus of Chileans on community — to strengthen the community is to strengthen the individual. Huegel cites one example from her new home in Chiapas, Mexico: Mexicans have “shared stories of mutual disasters,” she says. “Mexico doesn’t have a feeling of safety.” When a facilitator is attuned to that cultural norm, Roots in the Ruins training can focus on it. Roots in the Ruins (or Retoños en las Ruinas in Spanish) has five levels of courses to equip community and church leaders to help people deal with the social, spiritual, emotional and moral effects of trauma and conflict. Leaders who complete the entire training program are certified as facilitators and are able to teach in their own countries. Now there are 11 trained facilitators able to serve in seven countries, with 30 more on track to become facilitators. When the program started in Latin America, Prestwood-Taylor did most of the facilitating and Huegel translated. The program was based on the STAR (Strategies for Trauma and Resilience) program developed at Eastern Mennonite University. Roots in the Ruins has since branched off with its own programs that include lessons they’ve learned along the way. A lot of those lessons came right off the starting block. Huegel says she had been trying for years to do trauma healing in Chile, but the church leadership wouldn’t allow it. A lot of the trauma that needed healing was inflicted by the government, U.S. involvement in Chilean elections and the totalitarian regime in power, and the church was leery of divisive political discussions. In 2010, Prestwood-Taylor and others were allowed to teach some trauma healing at Shalom Center. Three weeks later, disaster struck. A 8.8-magnitude earthquake struck Chile. It triggered a tsunami. Homes and buildings collapsed, power was cut, entire towns were wiped out. More than 500 people died. Huegel and the other trauma healers sprung into action. Huegel remembers one child who was sitting on the curb near his destroyed home who couldn’t even tell her what a toothbrush was. Huegel gently reassured the boy, continued to pull items out of the bag of necessities she was handing out: What is this? Is this a comb? You remember toothpaste. This is toothpaste. Eventually, the boy was able to tell her she was handing him a pencil, then was able to talk to her about his crumbled grandparents’ home he was sitting in front of. What is impressive is that most of the 13 participants in the original group just before the 2010 earthquake in Chile stuck with the program. The first group were joined by 12 more who took the training in the year after the earthquake. Together, these 25 first-level course participants helped train 130 local teachers and leaders in emotional first aid within the communities most affected by the earthquake. The numbers continue to increase exponentially as participants kept training others. 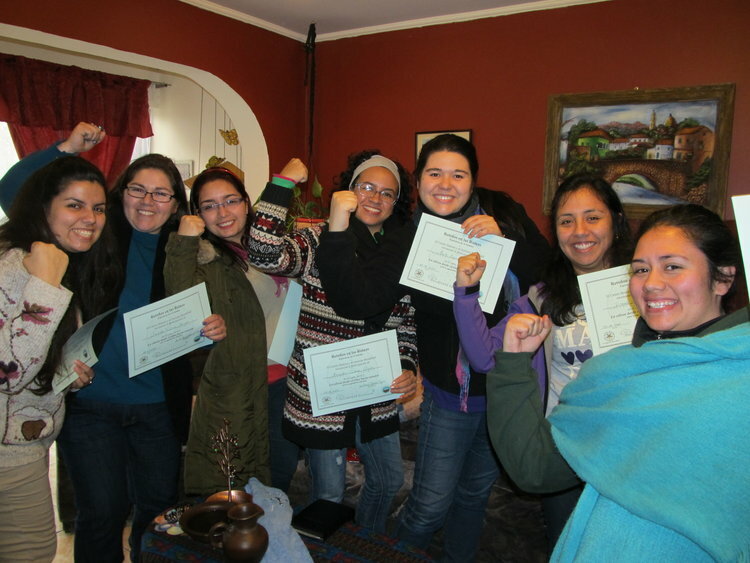 There are now more than 1,000 people equipped to do emotional first aid throughout Chile. Of those original 25 first-level course participants, 11 have finished the five required courses to become facilitators and are now organizing emotional first aid and resilience development workshops and the basic and second-level courses in seven different countries.